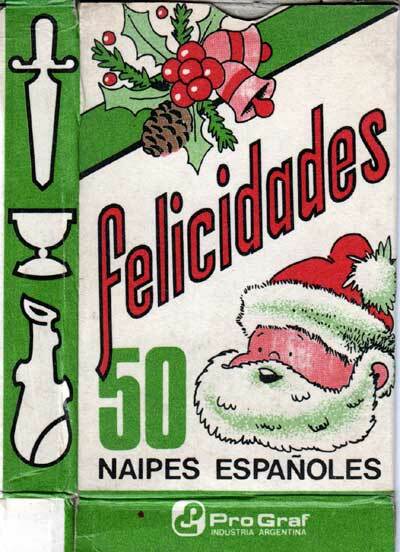 Editorial Gráfica Flores S.A. were manufacturers of playing cards and card games around c.1970-90. 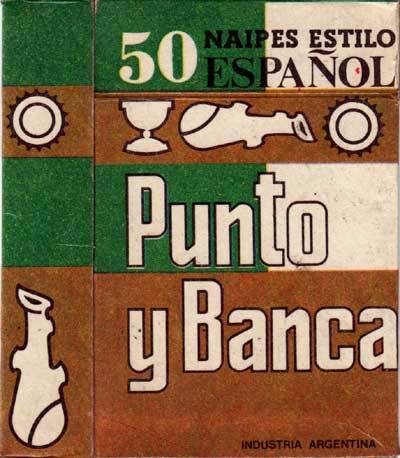 They produced comic animal and "Pinocho" cards with Spanish suit symbols, as well as several editions of "Punto y Banca" standard Spanish-suited and Anglo-American type playing cards. 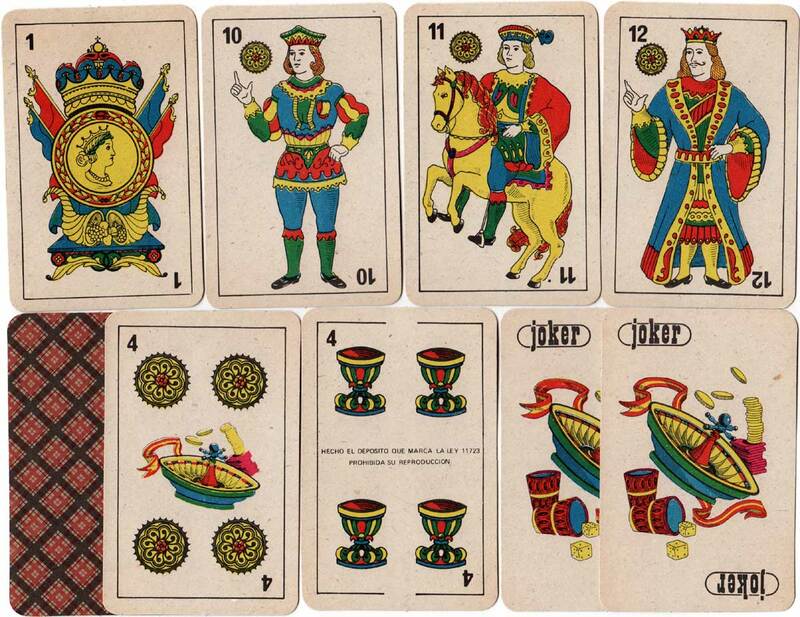 The cards are attractively designed but printed on low grade card. At some stage the name Pro Graf appears printed on the box of certain editions. 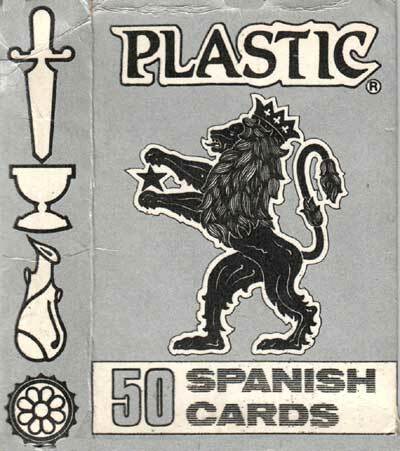 Above: the box states "Made in Argentina by Plastic License for Export". 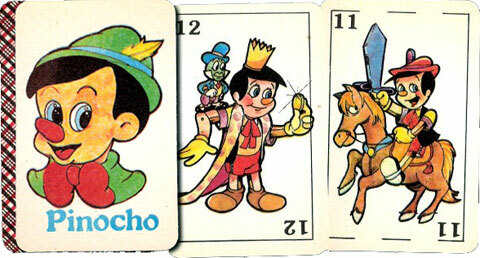 Right: cards from a Spanish-suited children's pack titled 'Pinocho' published by Editorial Gráfica Flores c.1975. 48 cards + 2 Jokers. 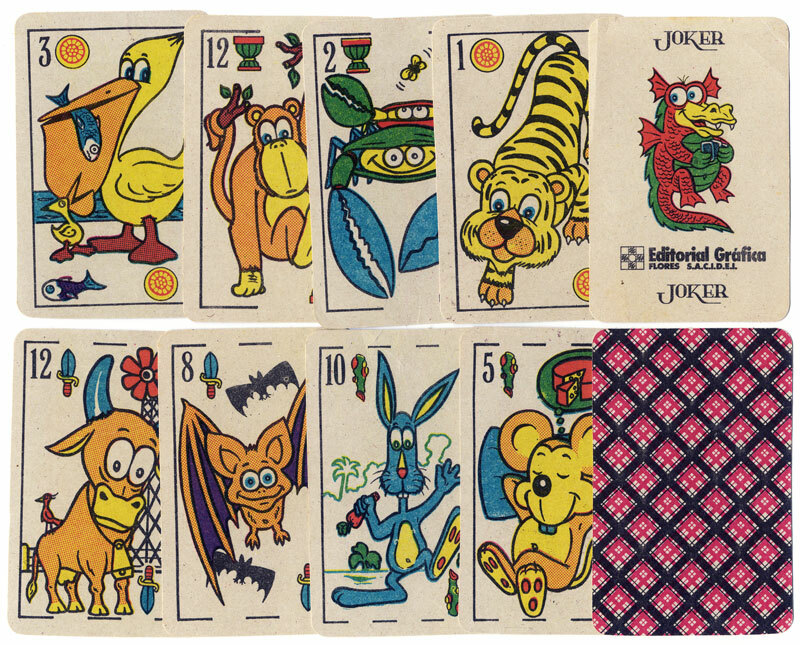 Above: 48-card Comic Animals playing cards, plus 2 jokers, c.1985. Every card has a different drawing. The Joker shows the name Editorial Gráfica Flores.